When asking for a review please take note I will give an honest review (this means I will rate it 1 to 5 stars, or anything in between, please see my review codes/star guide). This reflects my views and opinions on your writing and story. I have many visitors to my blog that buy books after reading my reviews so I am always truthful in what I write, one should never lie. Please consider this when submitting a book for reviewing. I reserve the right to refuse a review for any reason but will always try to provide feedback, please note with so many emails coming in I cannot always reply. 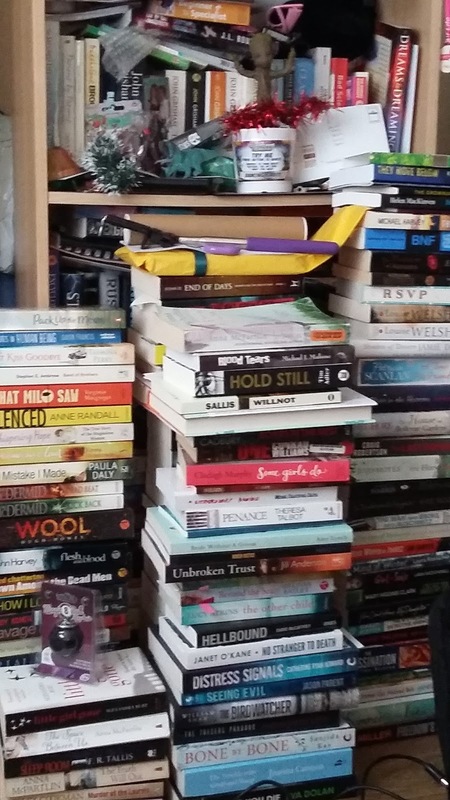 I have a back log of reviews as I receive so many therefore I cannot commit to a tight timeline, I am not currently accepting ebooks at the moment. My Reviews are not literary masterpieces, I write my honest thoughts on how I felt about a book. I use words like wee and aw or phrases like Oh My God, no way and a few others that won't be found in high brow reviews. People seem to respond to this, normally my reviews are fairly short and just my thoughts although sometimes I go off on one or ramble. I have been very lucky to have a following, people enjoy reading my thoughts and personalised style of writing. Publishers and authors send me books for reviews, all reviews are honest as they should be, regardless of the source or format. 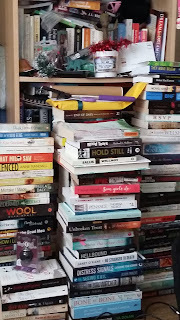 I am inundated with review books at present, tree books will always take priority and I have a backlog of both print and ebooks. As a result I am not accepting ebooks, I just cannot give guaranteed time or dates for reviews as I have treebooks coming in daily. Places you will find my reviews are - here of course, Amazon, Goodreads and any other book sites I find along the way. If your book is not already on Goodreads I will automatically add it for you, this saves you a bit of time and helps keep an accurate track of my reading challenges too. If you would like to do an author chat/interview/book giveaway (which is a great way to promote your work and profile) please contact me on the prefered method below. As you can see I now have a giveaway tab so I can easily add your giveaway there and or on the end of your interview if you choose to do one. I generally do not take part in blog tours for books I have not read. Hello! My name is Paul, an author of Literary Fiction and YA fantasy. Love the blog, keep it up! My name is Connie, a newly self-published author of a romance called Second Chances. I enjoy reading your reviews! Tried sending this through your email link, but wouldn't connect up. I can send a pdf review copy if you wish. Crime and horror and my favs Jack but I will give almost anything a try. Will have a wee look and get back to you, thanks for stopping by. Stopping by to say hi and that I appreciate your love of zombies =) I would love to talk with you sometime about reviewing a book of mine that is coming out soon. I would love to send you an eARC if you are interested. If there's an email I can send more information to, that would be absolutely lovely! I've just sent you an email about about reviewing my book. I think you'll enjoy the setting - Belfast! Commiserations about the Rugby yesterday. Scotland was my second choice after Ireland (or course!) though I'd have been happy to see either go through. I will be sending you an email pertaining to a review request. Just stopping by to introduce myself. My name is Jay. I'm a first time author trying to switch from writing a book to getting people to read it. :-) I appreciate your write up and will respectively check back at a later time. Until then, Hi! :-) Happy reading. I would like your followers to meet Daisy Perlman, the uneducated, unloved daughter of a whore. Lacking any comfort or trust in her life, she develops a philosophy of life from her walks through the woods.